With the uprising competition in late eighties, there were PC laptops on the market, few were as fast or powerful as the Macintosh Portable, it is Apple’s first portable Macintosh computer with a 68000 processor running at 16 MHz and comes with 1 MB RAM which is expandable to 9 MB RAM. 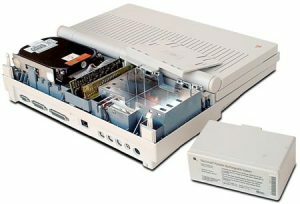 Alternatively It had an internal 9600 baud modem, and also constituted a PDS slot (Processor Direct Slot) for open access to the system processor. This vivid functionality allowed faster and more powerful expansion cards. Macintosh Portable included an active matrix screen, which updates quickly, and also overcame the blurry effect of other early displays. 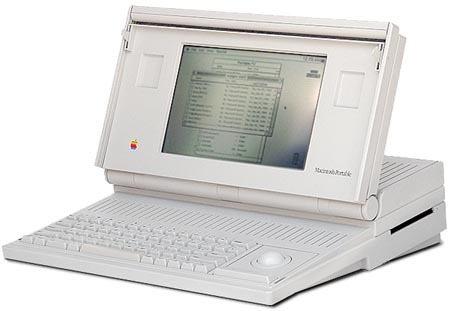 The Portable was one of the early consumer laptops to employ an active matrix panel, and only the most expensive of the initial Powerbook line. It was Powered by an internal lead-acid gel/cell battery, similar to those found in car batteries, which could run from 6 to 12 hours. Data storage was on a Conner 40 MB SCSI hard drive. 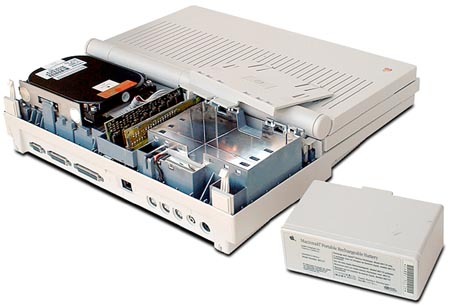 To conserve power, the hard drive can spin down and sleep, but being a SCSI drive, it cost twice as much as other non-SCSI hard drives from the same era. Even though there were dramatic enhancements in terms of ergonomics furnished by the sharpness, responsiveness, and uniformity of its active matrix panel, one of the major flaws of the Portable was poor readability in low light situations. Hence, Apple introduced a backlit Macintosh Portable (model M5126) in February 1991. Including the new screen, Apple changed the SRAM memory to less expensive and more power-hungry pseudo-SRAM and lowered the price. The backlight feature was a welcomed improvement, but it came in with a sacrifice reducing battery life in half.